When clients come to us to have their teeth whitened, they typically ask us a number of common questions. Concerned about their dental care, they want to ensure that the process won’t negatively impact their oral health. The team at Halonen Family Dentistry understands these concerns and, whenever possible, aims to answer them quickly and informatively. In this post, we’ve collected five of the most common questions that we receive and provided answers to them in the hopes of convincing you that teeth whitening is a great solution for you. Is tooth whitening bad for your tooth’s enamel? Teeth whitening causes no permanent damage to your tooth’s enamel and is considered a safe procedure by countless reputable sources in regards to preserving your current level of dental health. On average, tooth whitening lasts a little over a year. Avoiding certain foods and activities, such as coffee and smoking, can lengthen this time and often double the duration of the procedure’s effects. Will tooth whitening affect my crowns, veneers or fillings? Whitening your teeth has little to no effect on your other restorative dental work. However, we always recommend speaking with your dentist about this concern, as a temporary weakening of bond strength can occur. 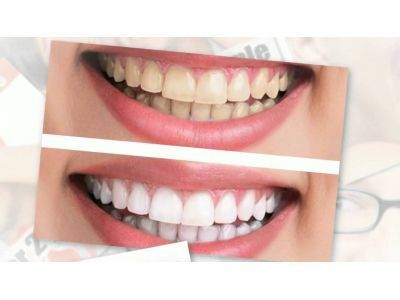 Is at-home teeth whitening effective? Most at-home tooth whiteners, such as whitening toothpaste, only remove surface stains, leaving the actual color of your tooth unchanged. Additionally, at-home bleaching kits are often diluted and lack the strength of professional whitening solutions. At Halonen Family Dentistry, our team has years of experience in providing professional, effective tooth whitening services. While the answer to this question is personal and can’t accurately be addressed in this post, we can say that tooth whitening is a pursuable option for almost everyone. If you’d like to find out if you’re a good candidate, contact us today and schedule a visit!